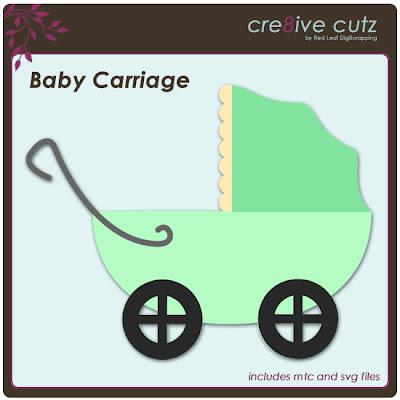 Here's another baby themed cutting file, a little carriage that you can add to your baby projects. This is now part of the Sweet Baby set available in the store for just 99 cents. Just click on the preview image to download the files. As always, MTC and SVG files are included in the free download. Enjoy! How nice thanks for sharing your file. Thank you so much for this post. I want to let you know that I posted a link to your blog in Creative Busy Hands Cricut Freebies Search List, under the Boy/Prince, Girl/Princess, Babies, Children, Character(s) Theme post on Mar. 04, 2011. Thanks again. Thank you so much for the baby carriage file. It's really cute! Lettering Delights Dollar Days are Back!!!!! 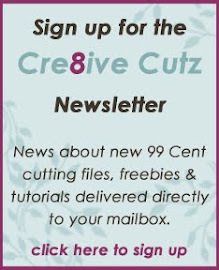 I was Blog Spotted by Paper Craft Planet!